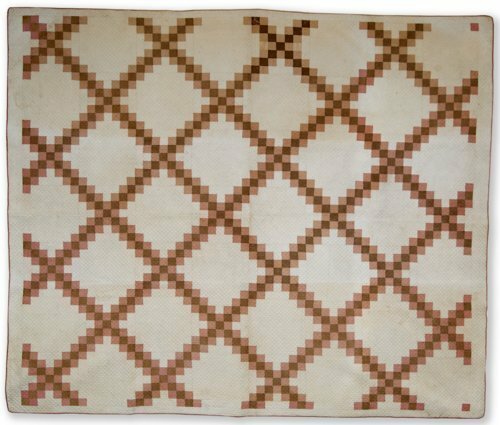 Cotton quilt in Double Irish Chain pattern. Fabrics include pinks and browns on a white ground. Hand quilted in a grid overall. The fabrics in this quilt are typical of a late 19th century or early 20th century bedcover.